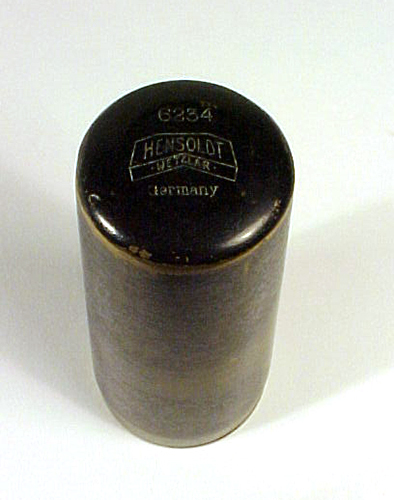 The respected optical goods manufacturer, Hensoldt of Wetzlar, Germany first introduced the Tami microscope in 1920. Tami is a contraction of the German word taschenmikroskop, meaning pocket microscope. The Tami is a solid and rugged instrument designed for field work. This example has seen some use, but still delivers a clear, sharp image. Serial number 6234 is engraved in the cover. The microscope when collapsed is 4 inches tall, its height with both tubes extended is 7 1/2 inches (approximately). 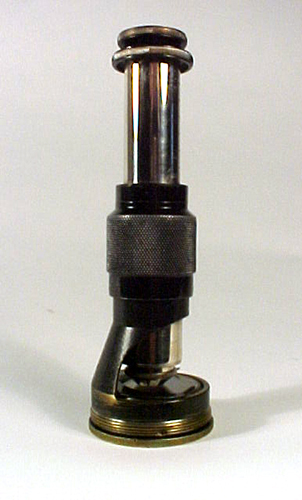 The Tami uses a double drawtube for variable magnification and has micrometer screw focus. 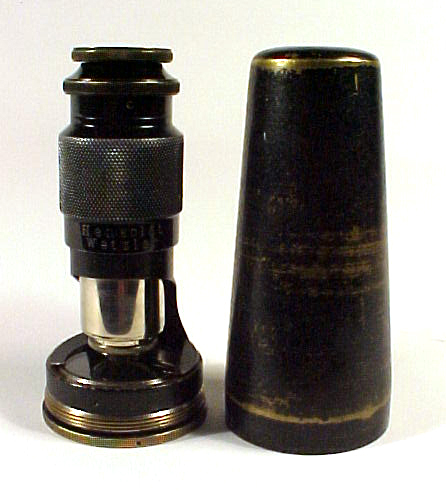 The stage is a sealed removable unit consisting of a heavy glass plate with a small concave mirror fixed below, set into a metal cylindrical mount. The stage can be rotated for best illumination. 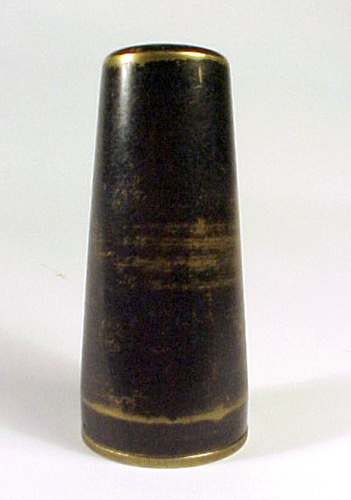 The sturdy brass cover is quite heavy, so the total weight is nearly one pound.